I’ve spent couple of decades dealing with the realities of a small business that sells physical goods. The functional requirements of these businesses are surprisingly broad but alas the budget tends to be small. 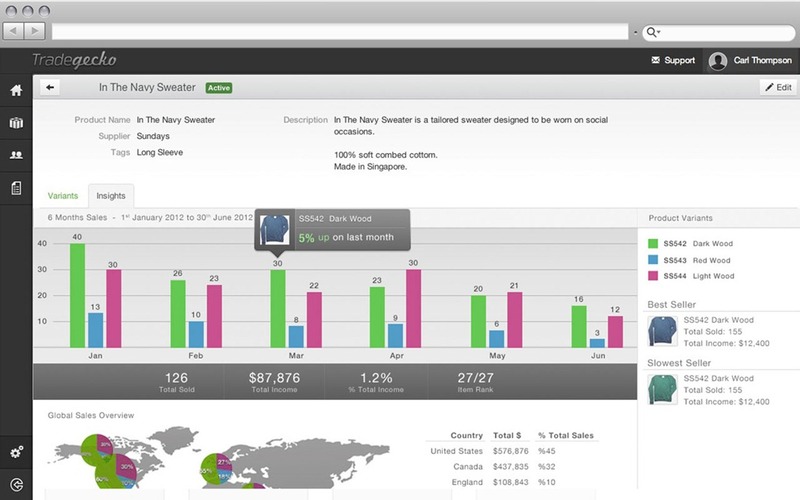 I was interested then to hear from the founders of TradeGecko, a recently launched SaaS inventory and sales-management tool designed specifically for SMBs. The idea of TradeGecko is to create a more social and engaging way to manage inventory, and to give businesses the ability to take advantage of mobile access and an ecosystem of Saas applications. Founded in New Zealand, TradeGecko is now based in Singapore and part of JFDI, a member of the global accelerator network. TradeGecko borrows cues from more enterprise-focused SaaS applications and includes an activity stream in order to surface relevant information for different people dealing with a stock management process. My experience gives me first hand knowledge of the face that SMB inventory-management tools are generally cumbersome on-premise offerings that are expensive, inflexible and difficult to use – some new entrants are trying to solve that and TradeGecko covers some areas touched on by other companies such as Unleashed Software, BrightPearl and Magento. At the top end, and generally out of the range of SMBs, are the enterprise grade SaaS plays like Intacct, NetSuite and Salesforce. TradeGecko is aimed at a wide range of businesses including importers, distributors, wholesalers, manufacturers and designer-makers. Co-founder Carl Thompson formerly ran a clothing label part of his frustration at the the amount of administration involved in managing traditional systems led to the founding of TradeGecko. 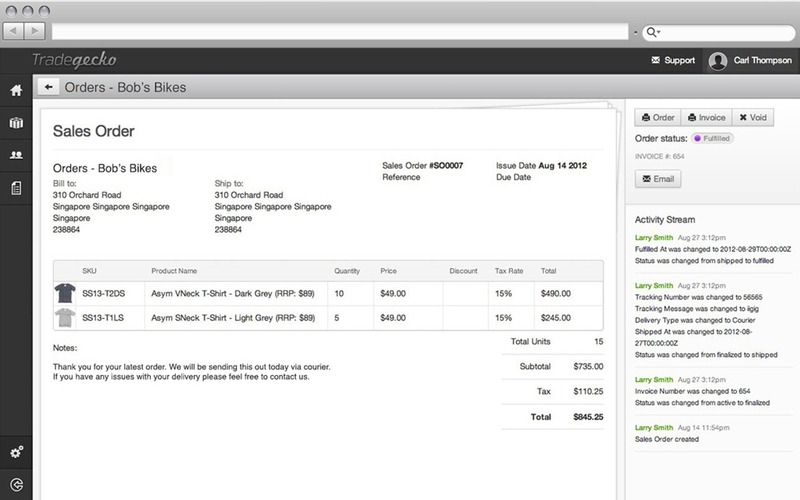 TradeGecko is currently in beta and is currently integrated with Shopify. Further integrations with Xero and VendHQ are in the pipeline. Point of Sale System are systems do normally handles sales and inventory activities. It typically consists of a desktop computer equipment and an software produced in distinctive coding software which is database enabled. These systems plays a substantial aspect in supporting you bring out your company as well as for your buyers as it helps you speed up the operation of check out or the settlement process of your shopper. This benefit assists increase the customer service productivity. Point of Sale programs usually comes in different functions for unique types of businesses like as Restaurants, Supermarkets, Convenience Stores, Narcotic Stores, Lodging and various types of business enterprise which usually are into selling business that caters merchandise and/or services.